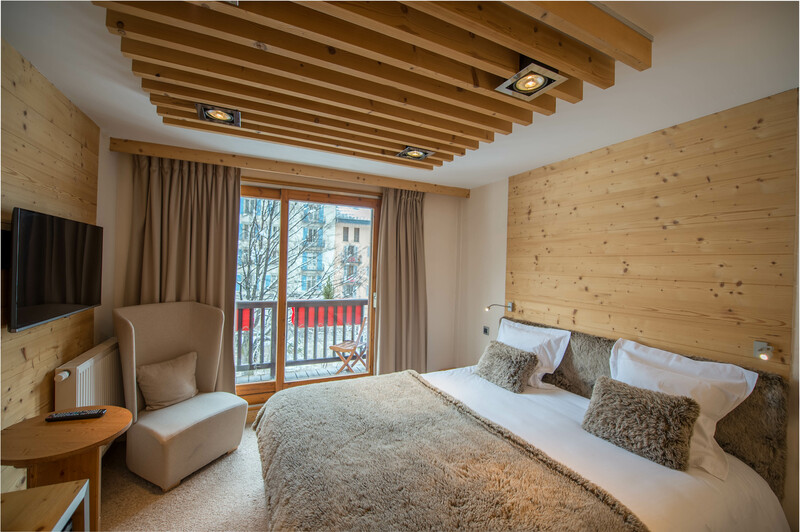 Located in the heart of Chamonix, you can enjoy the animation of the center and its shops, a few steps from the “Mer de Glace” or the “Aiguille du Midi”. 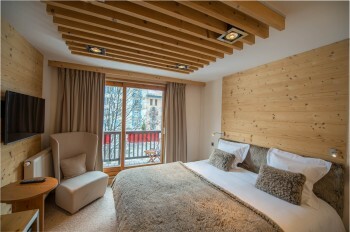 The bus stops serving the villages of the valley and the ski areas are located less than 100 meters away from the hotel. 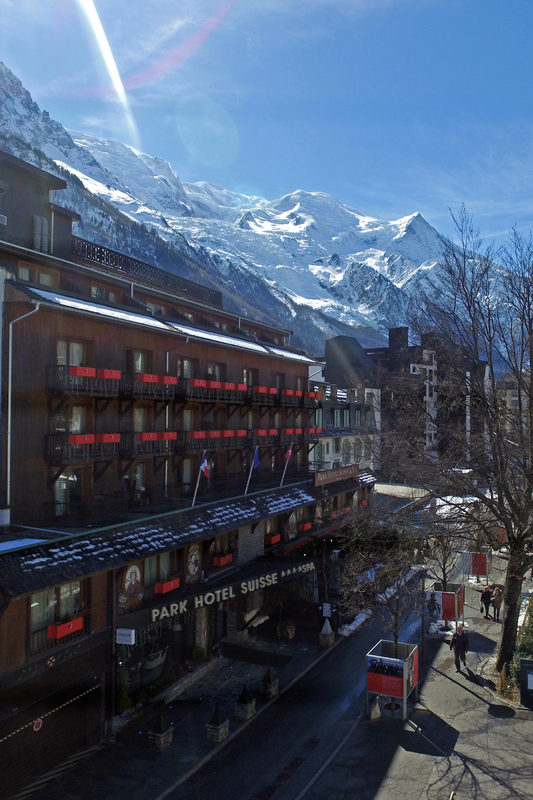 All our rooms have views on the Brevent or Mont-Blanc mountains. We have 4 room categories: Standard, Superior, Confort & Suite. We also offer family rooms. We invite you to discover them. The first part of the establishment was built in 1930. This is the side with the rooms overlooking Mont Blanc. The hotel was owned by Pépé Luc and managed by Berthe, his wife. Pépé Luc was a mountain guide and he only helped his wife for ordering the wine and during breakfast service. At this time of the day, he used to bring with him a lamb and feed him like a baby. In the 60’s after the death of his mother, Berthe, Jeannot Tournier inherits the hotel and also the management of other establishments such as the "Caleche" restaurant and a really famous night club at that time, the “Toboggan”. The hotel was then managed by Nicole, his wife. The swimming pool was built on the roof top of the hotel as well as the rooms overlooking the Brevent. The panoramic terrace was used as an ice rink during the winter and as a solarium during the summer season. In 1985, Jean Luc Claret Tournier, became the owner of the hotel and in 1994, Kathya, his wife, became the manager and started different renovations twice a year. 2004: She renovated the restaurant and breakfast area. 2012: She renovated the reception, and finished the work on the 6th floor; the SPA was by now finished, with an outdoor swimming pool, two massage rooms, Steam Bath, Hammam, panoramic terrace and Jacuzzi. 2016: She created a fitness room and one new conference room. 2017: She “restyled” the reception and the living rooms in a modern style but always warm with a mountain spirit.